WASHINGTON (CNS) — Lent, the 40-day period before Easter, is often viewed as a time to give up something and go without meat on Fridays. But a glance at almost any Catholic parish bulletin during Lent will reveal that a lot is more going on during this time with increased opportunities for prayer, confession, Stations of the Cross or retreats. And there also are plenty of online tools to help people grow in their faith: links to reading materials, suggested prayers and activities, charities to donate to and simple meals to prepare. For Catholic adults, it’s not the Lent of their childhood, with all the emphasis only on giving up soda or dessert, said Paulist Father Larry Rice, director of the University Catholic Center at the University of Texas at Austin. That’s what people love about Lent, he added, noting that many Christians find the season gives them a “jump- start” to their faith. “I hear this all the time. Lent is a time for deeper prayer and deeper discipline, but it is also a time that draws us more deeply in the paschal mystery of our salvation,” he told Catholic News Service Feb. 23. Father Rice, who also gives parish missions around the country, said he likes to remind people that Lent is technically not 40 days but 43 and a half — from Ash Wednesday to Mass on Holy Thursday. But he also notes that the number 40 resounds with so many because of its biblical symbolism related to the Israelites’ 40 years of wandering in the desert to the 40 days Jesus spent fasting in the desert. What people know about Lent certainly varies. Another Paulist priest, Father Jack Collins, did a video for the Paulists’ website, Busted Halo, two years ago called “You don’t know Jack about Lent” as part of series where he asked people on the streets in New York questions about faith. In the video, not everyone could name the three pillars of Lent: prayer, fasting and almsgiving. The priest told CNS that these pillars are “very much countercultural” by making people think of their need for God and others. “The cross of Jesus is not giving up chocolate for Lent. It’s changing your story,” he said, explaining that Christians are called to make what they do on a daily basis more in line with Jesus’ actions. “That’s a lot harder to do” than giving something up, he added. The priest, who hosts the radio program “Christ Is the Answer” for Ave Maria Radio in Ann Arbor, Michigan, said people need to ask themselves why are they doing what they are doing for Lent. The disciplines of prayer, fasting or almsgiving are important, he said, but they should be viewed more as the means of Lent, not the goal. He also views Lent as essentially two seasons: The first few weeks have more of a focus on praying about areas that need to change, and the second half, based on the daily Mass readings, emphasizes responding to the example of Jesus. 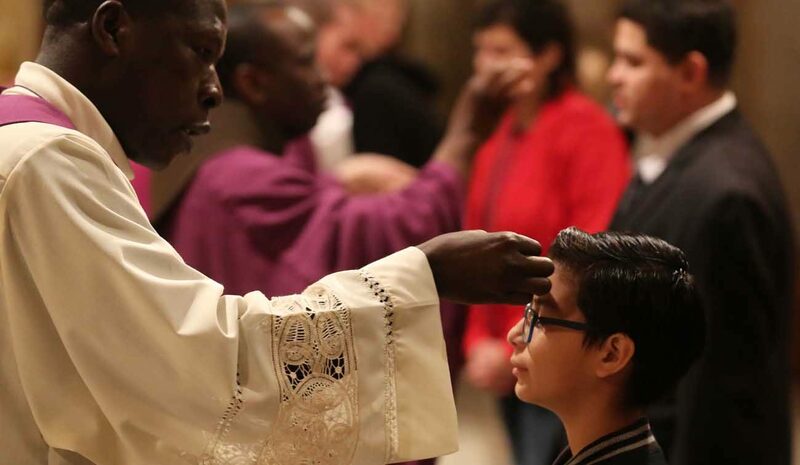 The church’s tradition of celebrating Lent goes back a long way. Jesuit Father Norman Tanner, who teaches church history at the Pontifical Gregorian University in Rome, said the earliest mention of Lent as a time of preparation for Easter was during the Council of Nicaea in 325, then fairly recently, the Second Vatican Council confirmed the importance of Lent. The priest, writing for Thinking Faith, a British Jesuit publication, said in many languages the word for Lent implies 40 but the English word for Lent derives from the Anglo-Saxon word “lencten,” which means to lengthen — referring to the season of spring when hours of daylight lengthen. When people liken this to God being in control, just as seasons change, it takes on even further meaning, he said. Thanks for the excellent article and the positive jump-start for my Lent.